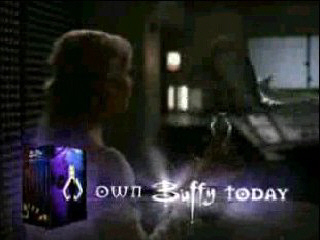 These are the trailers for Buffy the Vampire Slayer (original movie and the t.v. 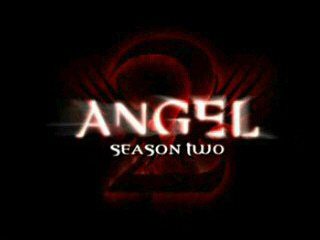 series) and Angel that I have on DVD so far. Click on the picture to view or right click and select "Save Link As" to download. Found on Season 2 Disc 6, Season 4 Disc 3, Season 5 Disc 3, Season 6 Disc 3 and Season 7 Disc 3 of the BtVS Australian release DVD box sets, and on Season 3 Disc 3 and Season 4 Disc 3 of the Angel Australian release DVD Box sets. Found on Season 4 Disc 3, Season 6 Disc 3 and Season 7 Disc 3 of the BtVS Australian release DVD box sets, and on Season 3 Disc 3 and Season 4 Disc 3 of the Angel Australian release DVD Box sets. Found on Season 5 Disc 3, Season 6 Disc 3 and Season 7 Disc 3 of the BtVS Australian release DVD box sets, and on Season 3 Disc 3 and Season 4 Disc 3 of the Angel Australian release DVD Box sets. Found on Season 6 Disc 3 and Season 7 Disc 3 of the BtVS Australian release DVD box sets, and on Season 4 Disc 3 of the Angel Australian release DVD Box Set. There is a misprint on the menu of this disc. 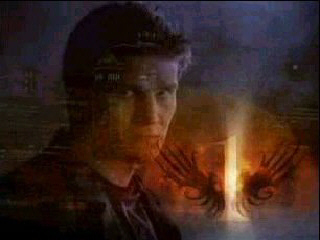 Where it reads Buffy Season 5 DVD Trailer it should read Buffy Season 5 Video Trailer since that's what it is. Found on Season 7 Disc 3 of the BtVS Australian release DVD box set, and on Season 4 Disc 3 of the Angel Australian release DVD box set. Found on Season 5 Disc 3, Season 6 Disc 3 and Season 7 Disc 3 of the BtVS Australian release DVD box sets, and on Season 3 Disc 3 and on Season 4 Disc 3 of the Angel Australian release DVD Box sets, and also on the BtVS movie DVD. Found on Season 1 Disc 3 of the Angel Australian release DVD box set. Found on Season 2 Disc 6, Season 5 Disc 3, Season 6 Disc 3 and Season 7 Disc 3 of the BtVS Australian release DVD box sets, and on Season 2 Disc 6, Season 3 Disc 3 and Season 4 Disc 3 of the Angel Australian release DVD box sets. Found on Season 4 Disc 3, Season 6 Disc 3 and Season 7 Disc 3 of the BtVS Australian release DVD box sets, and on Season 4 Disc 3 of the Angel Australian release DVD Box Set. If you can't get any of the videos to play then you will need to download the Windows Media Codecs from www.microsoft.com. Do a search for Windows Media Codecs or Windows Media Player. You should find it in one of those sections. More trailers, click here to view.